The Mass of Christian Burial for Ethel C. Bissen, 97, of Stewartville,MN will be at 10:30 A.M. on Tuesday(November 27, 2018) at St. Bernards Catholic Church with Rev. John Wilmot officiating. Burial will follow in the church cemetery. Mrs. Bissen died on Wednesday (November 21, 2018) of natural causes at the Stewartville Care Center. Ethel Catherine Michels was born on August 20, 1921 in Stacyville,IA to Joseph and Helen(Mueller) Michels. She grew up on the family farm,and attended parochial school. Ethel was married on September 25, 1940 at Visitation Church in Stacyville,IA to John Bissen. The couple lived and started their family in rural Johnsburg,MN, where they farmed for 19 years. In 1959 they moved to Stewartville where they raised their family and have continued to live. 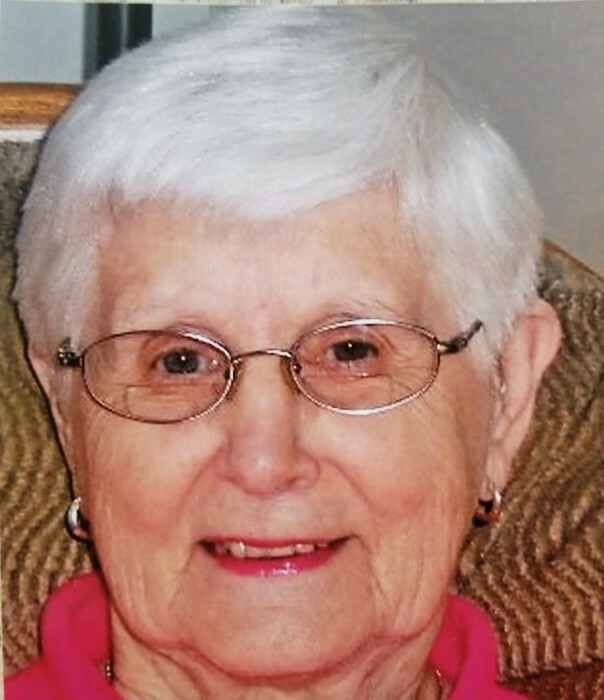 Ethel was a homemaker and also was employed as a cook at the Stewartville Care Center for a number of years and as a clerk at Boyum Foods in Stewartville until her retirement. John was employed as a meat cutter at Boyum Foods in Stewartville for many yearsand then at Barlow’s Grocery Store in Rochester. He also drove school bus in the Stewartville school district. Mr. Bissen died onDec. 5, 1992.Ethel was a longtime member of St. Bernards Catholic Church and was active with it’s CCW and Ladies activities. She enjoyed playing bridge and belonged to a Ladies bridge club that met regularly. She enjoyed gardening, reading, crossword puzzles, playing cards and following the Minnesota Twins. She enjoyed visiting with friends and loved time spent with family, especially her grandchildren and great and great-great grandchildren. Ethel is survived by 4 daughters – Rita(Paul) Hackenmiller of St. Ansgar,IA; Ellen(Louis) Kanavati of West St. Paul,MN; Janet Taylor of Rochester,MN ; Donna Bamlet of Stewartville and daughter-in-law – Laurie Bissen of Winona, MN; 17 grandchildren, 33great grandchildren and 18 great –great grandchildren; her sister - Ruth Olson of Waterloo,IA and brother – Joseph ”Pete” Michels of Osage,IA. She was preceded in death by her husband – John, son - Michael, daughter – Doris Flicker, her parents, 2 son-in-laws – Charles Taylor and Rick Bamlet, 2 sisters – Patricia Murdock and Hazel Heimer, 2 brothers - Wilmer ”Bud” Michels and John “Jack” Michels and 3 infant children.